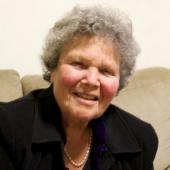 Jeanne Bamberger is Professor Emerita of Music and Urban Education of the Massachusetts Institute of Technology and Adjunct Professor of Music at the University of California, Berkeley, where she teaches music theory and music cognition. Her interests include musical development and learning, in particular aspects of representations among both children and adults. She was a student of Artur Schnabel and Roger Sessions and has performed extensively as piano soloist and in chamber music ensembles. She attended Columbia University and the University of California at Berkeley receiving degrees in philosophy and music theory. Her recent books include (1995) The mind behind the musical ear (Harvard University Press), and (2000) Developing musical intuitions: A project based introduction to making and understanding music (Oxford University Press), and (2013) Discovering the musical mind: A view of creativity as learning (Oxford University Press).